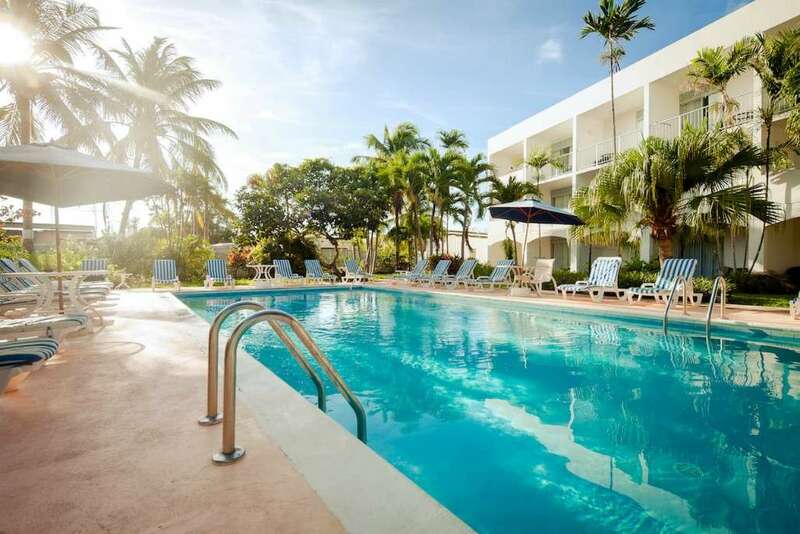 An incredible saving of up to 60% at one of the best value hotels in Barbados, located in the world-famous St Lawrence Gap. FREE Upgrade to Bed & Continental Breakfast + FREE Bottle of Mount Gay Rum + FREE Soft Drinks Package + FREE Late Checkout + FREE Resort Transfers, saving up to £2,960 per couple. Exclusive extras valid for travel completed 30 Apr 2019. Subject to Availability. Free resort transfers valid for stays of 7 nights or more. Free breakfast is continental. Breakfast can be upgraded to full breakfast for a small supplement. Child age is 2-12. Late checkout is subject to availability. Soft Drinks Package includes 2 x Coca Cola and 2 x Sprite in mini fridge per room per stay. Per person price based on 2 adults sharing on select dates, including return flights, APD tax, fuel charges, in–flight meals, luggage allowance, and bed & breakfast meal plan. Regional and weekend flight supplements apply, price correct at the time of publication based on the lowest flight booking class seats. Low deposit available for select holiday packages. Low deposit not available for departures within 14 weeks of booking. Top-up deposit required 6 weeks after booking. Ask your Personal Travel Advisors for more details.